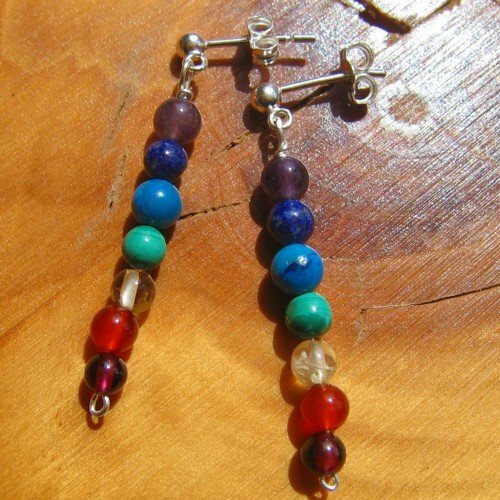 Chakra earrings round bead long hooks. 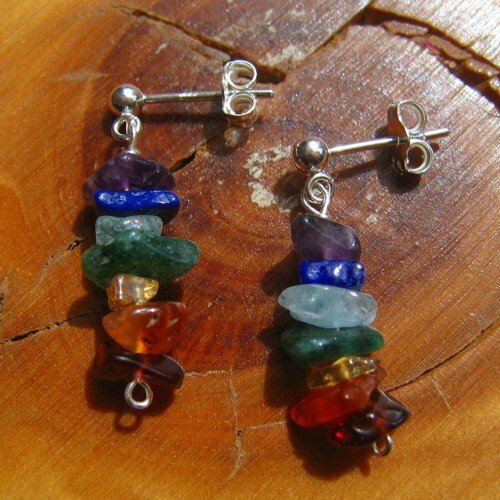 First of all, I set each chakra crystal onto silver wire. Then, I attach each crystal in order, therefore respecting the corresponding chakras. 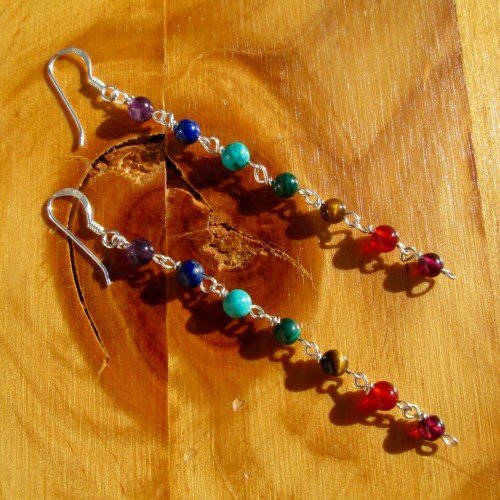 As a result, this long pair of chakra earrings has a lovely, flowing look. 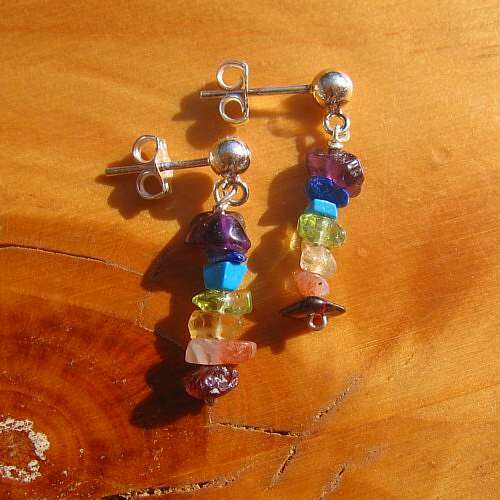 Finally, the crystals are set on to sterling silver ear hooks. 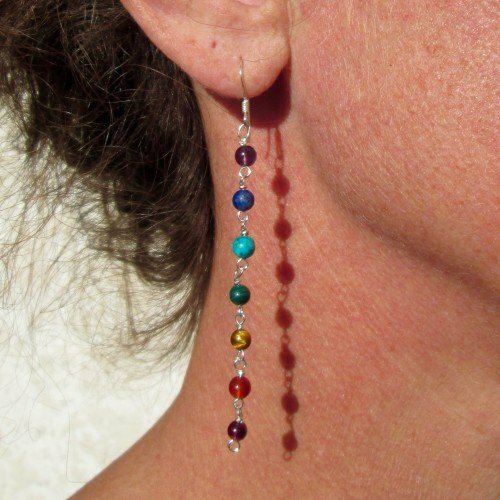 Your “chakra earrings round bead long hooks” will certainly get noticed. While each bead is approximately 4mm round, the total approximate length is 7.5cm/ just short of 3 inches. Stones used are amethyst, lapis lazuli, turquoise, malachite, tiger eye, carnelian and garnet. 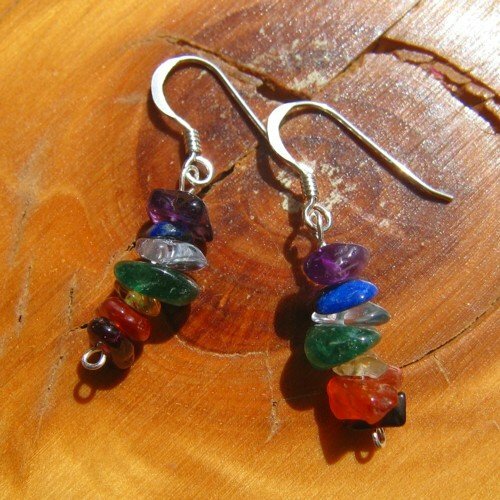 Therefore, by wearing these chakra earrings, you are carrying all the chakra crystals with you. Besides, these earrings also match the larger round bead pendant necklace, giving you a matching set.